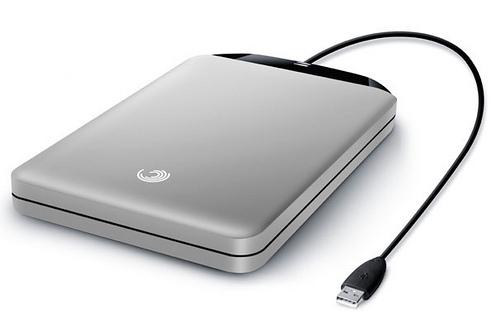 Today, external hard drives have become quite mainstream. Thanks to the fast data transfer rates and the high capacities at incredibly low prices, external hard drives can now be used as secure backups for critical data. Most renowned sources say that using an external hard disk for backup is an excellent way to protect the data that matters to you the most. In this article, we provide a step by step way of readying an external storage drive to be used for backing up critical and sensitive information. Most external storage disk manufacturers such as Western Digital, Seagate and others bundle their own tools with the hard drives. These are most often, the best tools for setting up the hard drive. If no tool comes as part of the package, you might want to visit their website. Some companies only offer the tools online and do not bundle them in a disc. Gparted is a partitioning tool that is free and cross-platform. This tool is simple to use and supports a large variety of file systems. Once you choose your partitioning tool, connect the drive to the PC and let the detection process get underway. If it is new, it may not even be formatted and would not show up in “My Computer.” Now, start up the partitioning tool and select the hard drive. Most partitioning tools offer multiple file systems to choose from. For our intent and purpose of back up, NTFS is a good option. Selecting the partition sizes must be done with careful forethought. Do you want a single partition with maximum size, or would you prefer to organise your data in separate partitions? Note that the higher the number of partitions, the lesser the size of each partition will be. As you can see, like the internal hard drive, the external one also needs to be partitioned. While some users can utilize the latter even with one partition, problems may arise when managing the stored data or fixing storage problems. Plus, it can be quite costly. For this reason, it would be best to divide an external hard drive into a couple of partitions. Related to "How To Partition An External Hard Drive To Maximize Data Storage"
How to Make Windows 7 Desktop Look Like Ubuntu 11.